Why are the statistics so worrying? 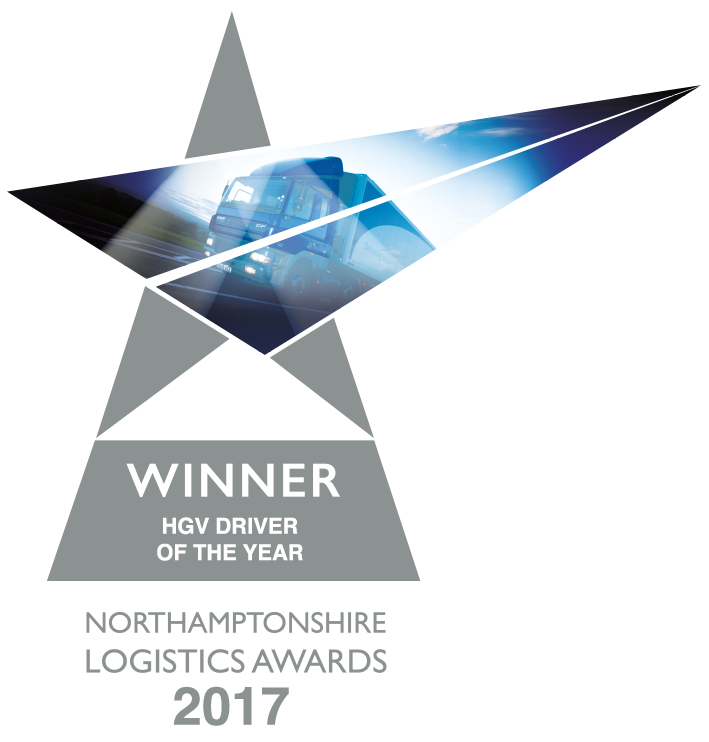 After the deadline, the HGV drivers cannot drive professionally until they have completed their training. With the lack of HGV drivers already on the edge, it might become even more serious after the 9th of September. 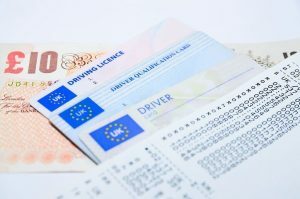 Drivers can be fined up to £1,000 for driving professionally without valid Driver CPC. DVSA statistics from August 2018 showed that around 75% of drivers CPC still needed to be complete. In July 2018 Nearly 220,000 fewer courses were completed comparing to July the year before. (Source: Government’s Driver CPC qualification and training data). When they all realise the time is running out there might not be enough time or places available to complete the training before the deadline. It’s very likely that the prices for the training will go up. What’s even more worrying is the number of drivers taking time off work to complete the training at the same time, might have a huge impact on the haulage industry. • Brexit speculations. Many drivers, as well as operators, tend to believe CPC training might be no longer needed after the Brexit, although The Government statement confirmed that The UK would maintain in a CPC scheme. Drivers will still have to meet the standards, regardless of the Brexit outcome. • Change of priorities. End of the year, holiday rush, Brexit preparations didn’t seem like the best moment to worry about the training with the deadline almost a year ahead. • Lack of professional drivers. Completing a 35 hours course means taking drivers off road for several days which might cause problems and more delays. 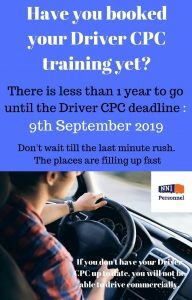 Many training providers are already booked till the end of March and urge drivers as well as operators not to delay in booking their CPC training. “We are so far behind from the figures five years ago it’s scary,” says Chris Brown, Senior Training Manager at AE Driver Training & Recruitment Ltd. “One of the main reasons for the shortfall is drivers thinking CPC will be scrapped when Brexit comes around. Unfortunately, this is not the case and the rush will be worse than on the previous round. AE Drivers have been working hard to ensure we can cope with the panic, with extra instructions and locations in place”. If you haven’t already done so you might want to make your CPC training top priority. Book your course as soon as possible to avoid last minute rush, queues, price rise and most of all to avoid ending up out of work because of lack of valid CPC card. NN1 Personnel 4 Years Anniversary in Business!